It's Monday, and at this point we can be certain that most people are dreading the work week as much as we are and are already wishing for the weekend. To many, the word "office" just makes you want to run for the hills, but, fans of TV's "The Office" will have a very different reaction. As one of the most well written comedies on television, The Office has won our hearts. Today's post, by our Guest Blogger, Lynette , is one of a 3 part series of character inspirations dedicated to the sometimes charming, sometimes outlandish, and always hilarious females of "The Office". Thank you, Lynette, for contributing to our summer guest blogger series! Readers: check out Lynette's post below and keep an eye out for other Office inspired posts in the upcoming weeks! Welcome to the Office! Now, everyone knows that we don’t always look our best at work. And in TV land, well, we still don’t always look our best at work. But we’ve chosen to highlight the styles of these Office women anyway. Kelly Kapoor is the bright and bubbly Customer Service representative for Dunder Mifflin. A dying breed in the current era of robotic telephonic customer service lines, Kelly is the person you reach at the end of the ring. Whether she helps to answer your question, or leaves you on hold as she sends notes to her lover Ryan, Kelly always demonstrates the brightest and boldest fashion in the Office. Whether or not her outfits are office appropriate is an entirely different matter. 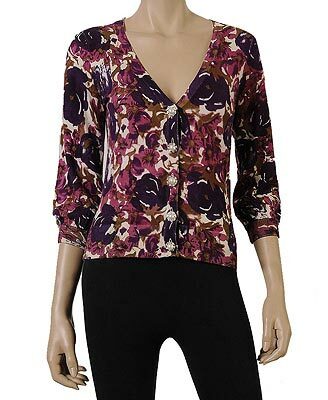 And look at the adorable purple and pink floral cardigan to pair with it! It’s the perfect cover up to the dress that might not be appropriate for office hours, but will be appropriate for your plans after 5. All you have to do is slip on your heels in the car. Not to mention the great versatility that remains the number one selling point of cardigans. Any businesswoman knows that you can’t have too many cover ups at work! Whether it’s to protect your shirt after spilling coffee on yourself, bundling up when someone sets the thermostat a little too low, or keeping yourself covered during your meetings with the creepy leering guy who works down the hall from you, every girl can find a cardigan useful! 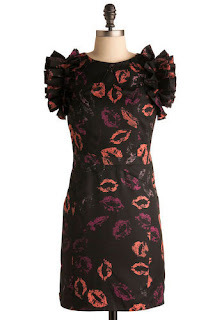 While this dress could be considered inappropriate for work by killjoys (cough::Angela::cough), it’s simply way too adorable to sit in Kelly’s closet waiting for Ryan to call. Look at it! Lips all over it in different lipstick colors! And ruffled sleeves! The construction of the dress is pure genius as it conforms to Kelly’s curves and shows off her assets without being revealing enough to send Toby to her cubicle with HR paperwork. This dress is super cute, and just a tad dressy for the workplace. 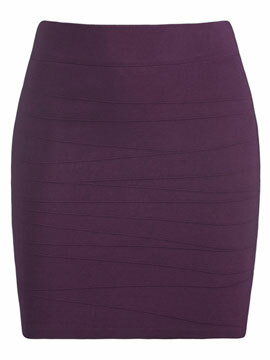 On the other hand, if you’re meeting someone for after-work drinks, this dress is pretty much perfect. 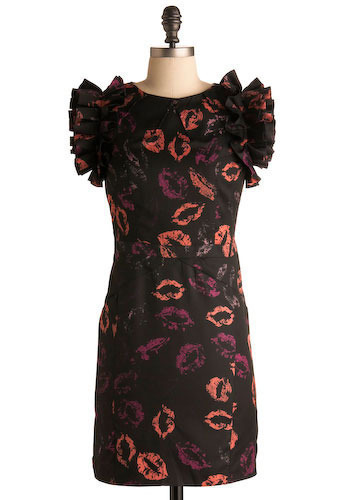 The bright color would look perfect against Kelly’s dark skin, and the ruffles are super girly and fun for a night out. This is the kind of dress that would make Kelly go bananas (B-A-N-A-N-A-S). This are yet another example of work basics. I think that both of the tops featured above are perfect Kelly-wear for the Office. Just enough fashion to suit those who love to dress up without being too revealing or fancy for work. While I personally think bare arms are a little too casual for the office, pairing the top on the right with a nice cardigan would be more appropriate. Or, if you want to keep things simple, the short sleeved style on the left would be great on it's own. And, of course, Kelly's social calendar is packed with special events, like weddings. And, since she looks really good in white, so she would always need to have a great white dress for such occasions. The other guests might be talking smack about it, but this dress, from JCrew, would truly solve Kelly's fashion emergencies. Thanks, Lynette, for sharing this fantastic post with us! Kelly Kapoor is one of our very favorite characters. She may not always be the brightest crayon in the box, but she is definitely the most colorful and vibrant person in the office.